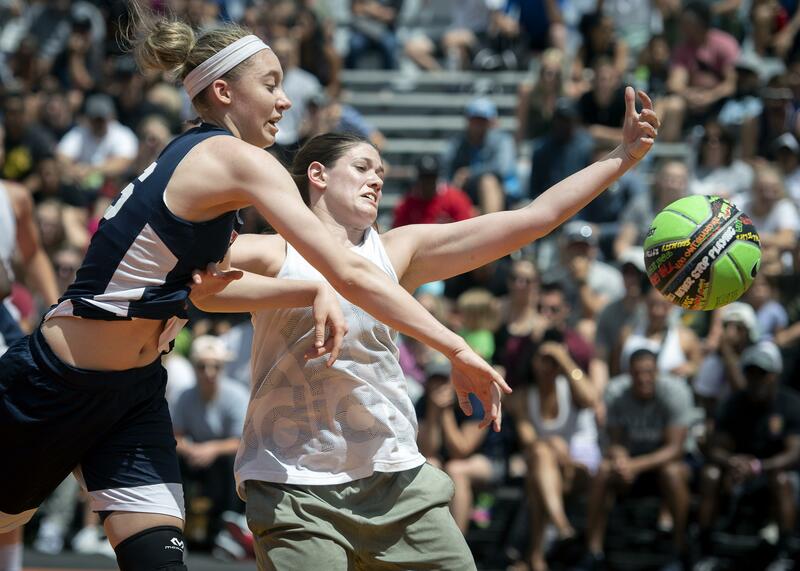 UPDATED: Mon., Jan. 7, 2019, 5:47 p.m.
Hoopfest, Spokane’s annual 3-on-3 basketball tournament that takes over downtown every summer, has a new home on television. SWX, a local sports broadcaster affiliated with KHQ-TV, won the rights to air the basketball event. This year marks the first time in 15 years KXLY-TV won’t air the competition. Boling said SWX plans to broadcast the competition across its stations in Eastern Washington, North Idaho and Montana. It also will create a Hoopfest-specific channel on its digital platforms, allowing viewers to watch center court games on their Roku, Apple TV and other devices that support the SWX app. Boling said this would let friends or family who don’t travel to Spokane to watch the games. It will also allow players to see themselves on replay. The station also plans more “context and content” leading up to the event, which takes place this year on June 29 and 30. Boling said SWX had wanted to give Hoopfest more coverage for some time, noting the station “goes bananas with Bloomsday,” and covers Greater Spokane League high school sports as well as Gonzaga University, Eastern Washington University and Washington State University games. Boling promised great reach for this year’s games. SWX is the sports and weather division of KHQ, the local NBC affiliate owned by The Cowles Co., which also owns and publishes The Spokesman-Review. Published: Jan. 7, 2019, 5:23 p.m. Updated: Jan. 7, 2019, 5:47 p.m.